The range of Stainless Steel Studs provided and manufactured by us, is one of the best that is available in the market. Used for the purpose of fastening, the offered studs are dimensionally accurate and have an optimal finish. This offered range comprises of SS Studs that are made available in varied specifications. We are manufacturing and supplying a wide array of Stainless Steel 202 Stud that are used for general purpose fastening for anything ranging from an anchor bolt to a through bolt. Our deft professionals make sure to manufacture these studs in a variety of grades and material for meeting diversified purposes of the clients. For high strength fastening, it is not easy to substitute all thread rod for a headed bolt without undergoing a significant loss in strength. Owing to these attributes, our products are widely demanded by the clients for their corrosion resistance.We make stud bolt in all grades. 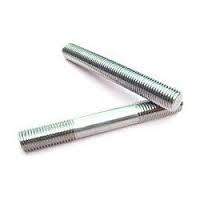 We are manufacturing and supplying a wide array of Stainless Steel 304 Stud that are used for general purpose fastening for anything ranging from an anchor bolt to a through bolt. Our deft professionals make sure to manufacture these studs in a variety of grades and material for meeting diversified purposes of the clients. For high strength fastening, it is not easy to substitute all thread rod for a headed bolt without undergoing a significant loss in strength. Owing to these attributes, our products are widely demanded by the clients for their corrosion resistance.We make stud bolt in all grades. 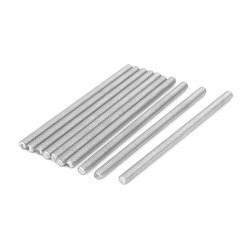 We are manufacturing and supplying a wide array of Stainless Steel 316 Stud that are used for general purpose fastening for anything ranging from an anchor bolt to a through bolt. Our deft professionals make sure to manufacture these studs in a variety of grades and material for meeting diversified purposes of the clients. For high strength fastening, it is not easy to substitute all thread rod for a headed bolt without undergoing a significant loss in strength. Owing to these attributes, our products are widely demanded by the clients for their corrosion resistance.We make stud bolt in all grades. 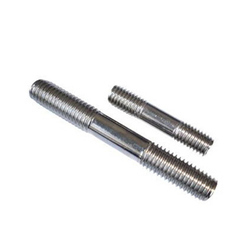 We are manufacturing and supplying a wide array of Stainless Steel 316L Stud that are used for general purpose fastening for anything ranging from an anchor bolt to a through bolt. Our deft professionals make sure to manufacture these studs in a variety of grades and material for meeting diversified purposes of the clients. For high strength fastening, it is not easy to substitute all thread rod for a headed bolt without undergoing a significant loss in strength. Owing to these attributes, our products are widely demanded by the clients for their corrosion resistance.We make stud bolt in all grades. We are manufacturing and supplying a wide array of Stainless Steel 310 Stud that are used for general purpose fastening for anything ranging from an anchor bolt to a through bolt. Our deft professionals make sure to manufacture these studs in a variety of grades and material for meeting diversified purposes of the clients. For high strength fastening, it is not easy to substitute all thread rod for a headed bolt without undergoing a significant loss in strength. Owing to these attributes, our products are widely demanded by the clients for their corrosion resistance.We make stud bolt in all grades. We offer a comprehensive range of Stainless Steel 904L Stud Bolts, which is used extensively in various industrial applications. stud bolts are available in different shapes & sizes and are reckoned for their various features such as corrosion resistance, dimensional accuracy and longer service life. Our range of stud bolts is highly demanded all across the world because of its superior quality and cost effective prices. We offer a comprehensive range of lHastelloy C276 Stud Bolts, which is used extensively in various industrial applications. stud bolts are available in different shapes & sizes and are reckoned for their various features such as corrosion resistance, dimensional accuracy and longer service life. Our range of stud bolts is highly demanded all across the world because of its superior quality and cost effective prices. 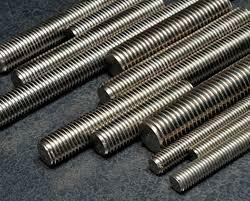 We offer a comprehensive range of Inconel Stud Bolts, which is used extensively in various industrial applications. stud bolts are available in different shapes & sizes and are reckoned for their various features such as corrosion resistance, dimensional accuracy and longer service life. Our range of stud bolts is highly demanded all across the world because of its superior quality and cost effective prices. Looking for Stainless Steel Studs ?